Are you planning to do home improvement projects that can boost your home’s overall performance? Are you looking to improve curb appeal and energy efficiency? The projects that you may want to consider are roof replacement, siding replacement, window replacement, and additional insulation. Kroll Construction is a company that can provide you with quality Detroit roofing, windows, siding, and insulation. Allow us to discuss how these projects can help improve your home’s performance. Your roofing system is your home’s primary defense against the elements, and it is constantly exposed to various weather conditions on a daily basis. Eventually the age of your roof, material choice, and other factors can eventually take their toll. 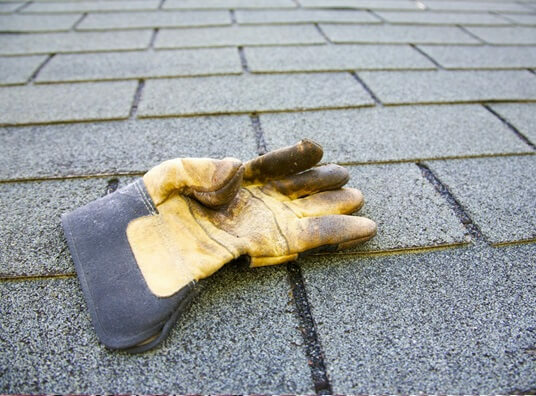 If the roof is in bad shape, it may no longer be able to provide you with ample protection. As a long-term solution, roof replacement can help keep your home and your family safe from the weather. Another benefit of roof replacement is that you can avoid any costly repairs in the long run. Kroll Construction can provide you with quality materials from manufacturers like Owens Corning and IKO. If your old wood windows are starting to look worn out and are starting to feel drafty, it could be time to replace them. We have excellent Alside vinyl windows that can help keep your home insulated and energy-efficient. By hiring us to replace your old wood windows, you can expect to cut your monthly energy bill by 30% or more! You’re also getting windows that can help boost your home’s visual appeal with various styles and colors. If you are tired of scraping and painting your home’s exterior paint every few years, getting vinyl siding is a cost-effective way that you can keep your home protected, visually appealing, and energy-efficient. Kroll Construction offers vinyl siding that can make cleaning easier, provide good insulation value, reduce noise infiltration, resist mold and mildew, and easily enhance your home’s curb appeal. If you’re looking to improve your home’s energy efficiency even further, you may also want to consider adding insulation to your home’s attic and walls. Kroll Construction can also deliver insulation that can reduce your heating and cooling costs while keeping your home more comfortable. We can provide blown-in insulation for your attic and wall spaces as well. Kroll Construction is among the most reliable siding, window, insulation, and roofing contractors in Detroit. If you’d like to have work done on these areas, you can rely on Kroll Construction to give you top-quality materials and professional installation. Improving your roofing, windows, siding, and insulation can be a great help to your home’s look and performance. Learn more about these home improvement projects by giving Kroll Construction a call today!